Retro collecting is a lot of fun and often we buy things that we don't post up a big "look at this" thread about but as always we get a buzz from getting it and adding it to our collections. The thrill of the chase, unearthing the bargains or hidden rare gem. I figure why not start up a thread so we can all share the love on what we are scoring week to week. Ebay, garage sales, facebook groups, op shop or wherever. Post up the bargains and just items you bought and found a place for. Who will get the pick of the week? I think we can run it Sun-Sat to give the garage salers time to get there hoards home and sort through them that night. And it's Sunday today so . Hopefully out of this we can get some good stories on how they were found, why you bought it etc. So this week I was lucky enough to be on a break at work at the right time, trolling gumtree (saved search for my area, consoles) and spotted a Playstation in great condition in the box go up for $20. I got right on the phone to them and secured it, picked it up today. They lived over North Avoca and I swear I had found the bat cave. In the trees along this one particular road was hundreds of bats sleeping hanging from branches everywhere. We get to the address and I am looking up at this near sheer climb of rock grass and mud to get to this guys house. I ring him and there is another way to get in, at the very top on an adjoining road. Getting up there and hitting the driveway and from there is a very steep run down to a run of about 10 houses who all share this driveway. I wasn't taking the voyager in there as it would probably never front wheel drag it's way back out so walked down. Collected the Playstation (no styro) and legged it back up the worlds steepest driveway to finally drive away with my score. Piccy - No styro unfortunately, but manual, registration card etc etc were all there. 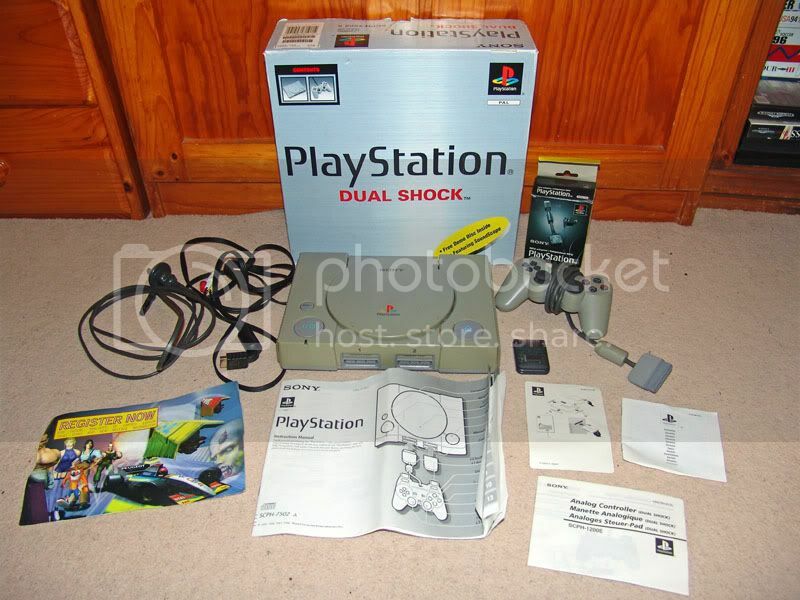 The Playstation itself is hardly in great condition, though the box is so for a lobster I am happy. 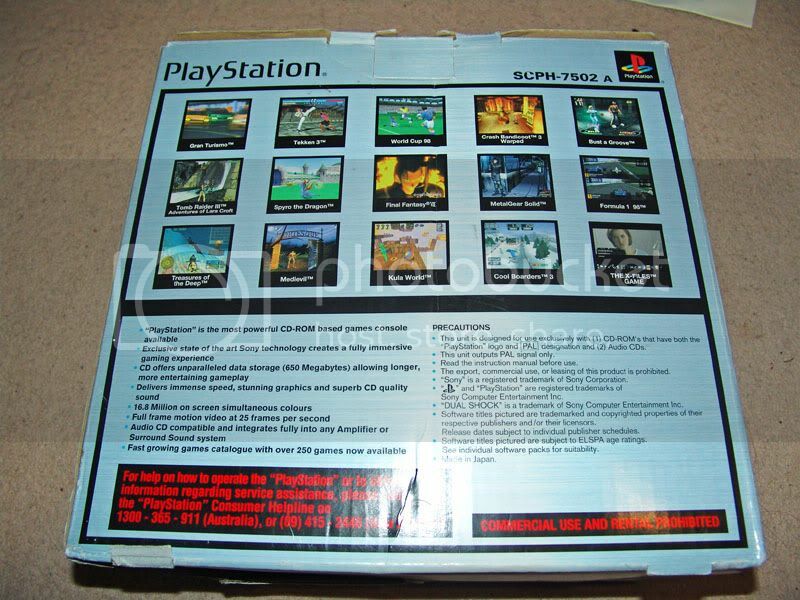 One great thing is the playstation console serial matches the serial on the sticker on the original box. Cool! 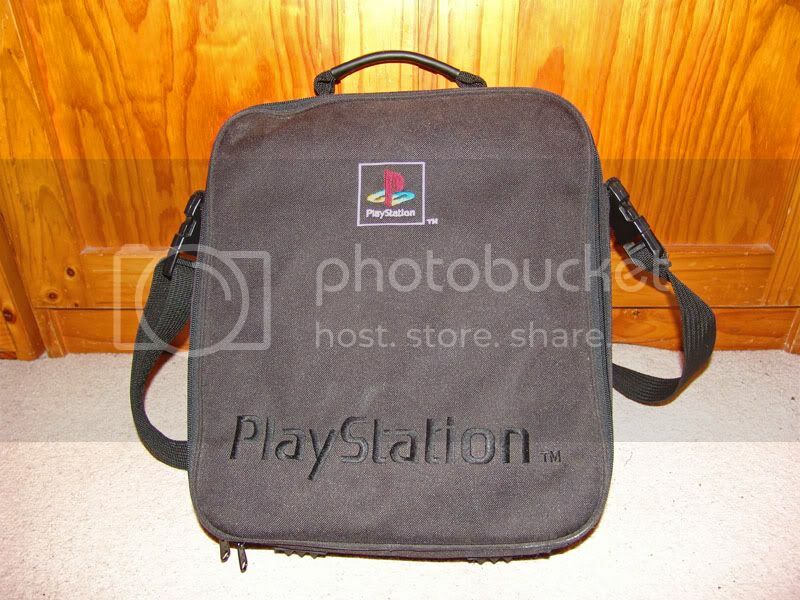 This one wasn't this week but I also scored a playstation carry bag for only $15, came with guncon, plus a bunch of joypads for xbox and PS1. Great idea for a thread Knight! I didn't have one before, and I couldn't resist this one as it was boxed, in great shape, and as close as it gets to being free. The other stuff I have talked about in other threads - A bunch of AES carts, the Epoch ElectroTennis, and some Megadrive carts. All up a pretty good week. 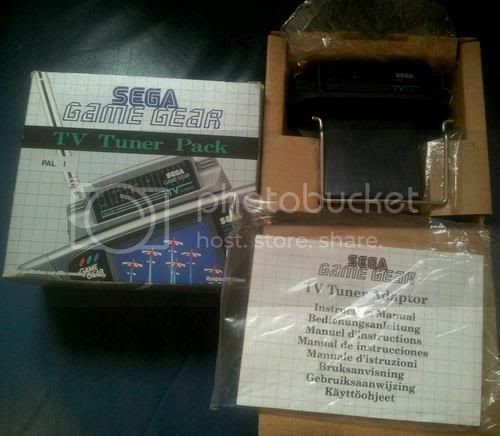 Game Gear TV tuner. Boxed, complete and in immaculate condition. $24 landed from the UK. Looks like the guy has been using that Playstation since it's release date! I bet it felt like a real treasure hunt too, haha. 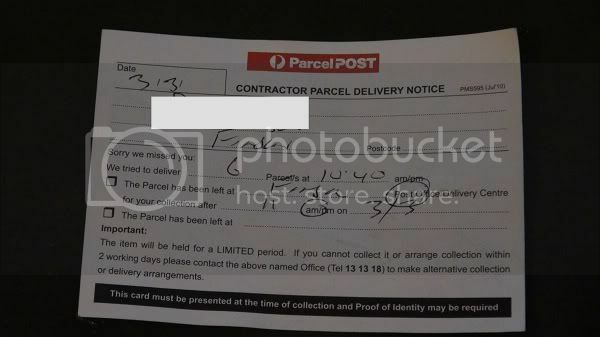 And raise you 6 boxes of Australia Post Mystery! Who knows that they could be!?!?! Signs are pointing to full of awesome! Postman left this in the mailbox on Saturday , i wasn't home cos i was at a music festival but i think im going to be busy come Monday morning! This isn't a competition direbear. Looks like some great additions already. Looking at Hollo's keyboard controller reminds me I need to get a Dreamcast Keyboard and Mouse setup so I can play Quake III Arena and unreal tournament. I wonder what is in those 6 boxes of Direbear's.